The main topics were the Safe Carriage of Cargoes, Investigation of Casualties by Flag Administrations, Air Emissions (including the 2020 Sulphur Limit regulation and Greenhouse Gases), Ballast Water Management, the non- availability and adequacy of Port Reception Facilities for cargo residues, Port State Control transparency and anti- corruption practices, Design Standards for Bulk carriers and related equipment. SAFE CARRIAGE OF CARGOES AND INVESTIGATION OF CASUALTIES: The previous year 2017 was marked by the tragic losses of M/V Stellar Daisy, carrying iron ore, and M/V Emerald Star, with nickel ore cargo, causing the loss of 32 seafarers, the highest annual loss of lives since 2011. INTERCARGO believes that the submission of quality casualty investigation reports without undue delays would greatly benefit the industry. INTERCARGO has already commended the Isle of Man Ship Registry, the Flag Administration of the M/V CHESHIRE, for the timely publication and the clarity of its Casualty Investigation Report, which allowed the International Maritime Organisation (IMO), and our Association in this context, to consider corrective actions already (e.g. in relation to the IMSBC code). The importance of investigating an incident and the subsequent publication of a casualty investigation report cannot be over stated; the dry bulk industry expects strict compliance with IMO’s Casualty Investigation Code, which might even necessitate a “naming and shaming” enforcement process. We invite the IMO to regularly publish casualty analyses. AIR EMISSIONS: On the implementation of the 2020 regulation for the 0.5% sulphur limit on bunkers, the maritime industry is concerned about a reasonable level of safety of MARPOL and SOLAS compliant fuels from 1st January 2020. This crucial message has unfortunately been distorted even at IMO level. The successful and orderly implementation of the regulation rests with the IMO Member States and with suppliers (involving oil refineries, bunker suppliers and charterers) who need to secure the worldwide availability of safe compliant fuels - a particular problem for ships in the tramp trades. Policing the quality of the new compliant fuels seems to be a great challenge already, as it has proved extremely difficult to address the very serious recent problems with existing fuels. INTERCARGO welcomed the initial strategy for the reduction of Greenhouse Gas (GHG) from ships adopted by IMO and will continue its participation in the global regulator’s deliberations. The ambitious objectives that have been set will require adequate technological solutions, as GHG emissions largely depend on the design and the technology of the constructed ships, their engines and machinery, and the fuels used for propulsion. So it is crucial that charterers and operators, who very often have the responsibility about how ships are utilised, shipbuilders, engine manufacturers, and fuel suppliers get involved in IMO’s deliberations. support for these systems, the availability of proven systems, which can perform under all conditions, and service backup. Achieving the effective implementation of the BWM Convention will require working closely with the manufacturers. PORT RECEPTION FACILITIES: Compliance with the discharge requirements of MARPOL for cargo residues and cargo hold washing waters which are Hazardous to the Marine Environment (HME) depends largely on the availability of adequate (e.g. per cargo type) Port Reception Facilities (PRFs). The non-availability and adequacy problems of PRFs unfortunately continue. We would urge a more effective system by IMO for information collection and sharing to ensure compliance. PORT STATE CONTROL TRANSPARENCY: INTERCARGO, in relation to Port State Control transparency and the lack of any self-assessment structures, continues its efforts to persuade regional MoUs to establish auditing schemes and transparency mechanisms. The objective is to target unethical behaviour within their areas and it is regrettable that so far MoUs seem uninterested to follow. Crew are distracted from their primary task of safe ship operations by the unethical behaviour of Port Authorities in some coastal states and we request IMO intervention at government levels to curb this practice. QUALITY & OPERATIONAL EXCELLENCE OF INTERCARGO MEMBERS: The Association’s Membership increased significantly through to 2018. The latest count comprised 138 Full Members with 2,177 bulkers entered with the Association, with a total capacity of 202 mil dwt i.e. 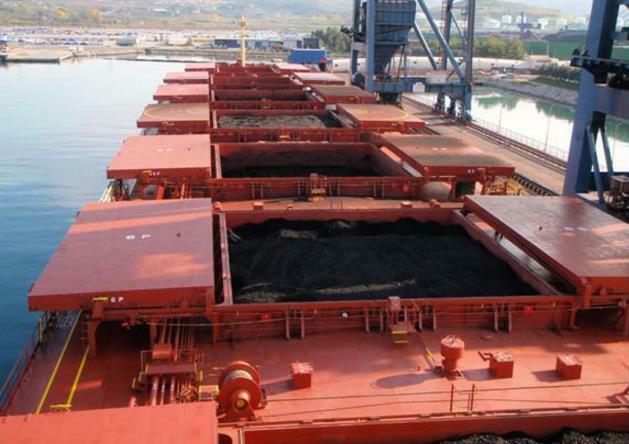 about 20% basis numbers of vessels and 25% basis dwt of the global dry bulk carrier fleet. Also, 72 Associate Members support the Association. ELECTIONS: At the Annual General Meeting of the Association, the Chairman and the two Vice-Chairmen of INTERCARGO from 1st January 2019 were elected for the next two-year term. Current Chairman Mr John Platsidakis and Vice-Chairman Mr Nicky Pappadakis will be stepping down on 31 December 2018 after completing the maximum term in the said positions. Vice-Chairman Mr Jay K Pillai was re-elected, Mr Dimitris Fafalios was elected as Chairman and Mr Spyros Tarassis as Vice-Chairman. INTERCARGO will hold its next meetings in Hong Kong on 4-5 March 2019. About INTERCARGO: The International Association of Dry Cargo Shipowners (INTERCARGO) is a voluntary non-profit association representing the interests of dry cargo vessel owners. Its first General Meeting took place in 1980 in London and it has had NGO consultative status at the International Maritime Organization (IMO) since 1993. INTERCARGO provides the forum where quality dry bulk shipowners, managers and operators are informed about, discuss and share concerns on key topics and regulatory challenges, especially in relation to safety, the environment and operational excellence. INTERCARGO promotes best practices in shipping and represents dry cargo shipping interests at IMO, other industry fora and the broader business context, basing its strategies on the principle of free and fair competition.